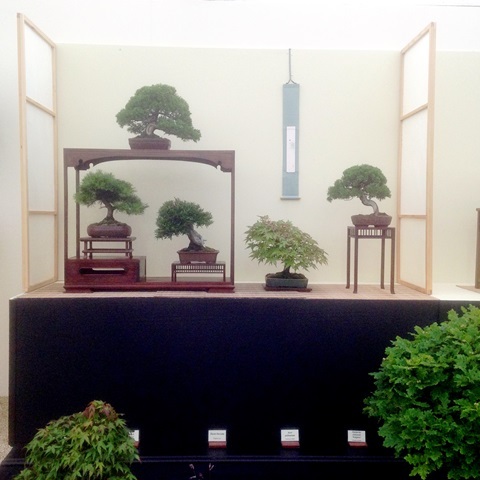 Once again, congratulations go to the Cheshire Bonsai Society for their display of bonsai at the Royal Horticultural Show at Tatton Park. The stand displayed a range of species and styles, with an impressive oak as the centrepiece. Also featured were two shohin displays within tokonoma-style areas. Clearly the judging panel were impressed, giving the society maximum points for a Gold Medal Award. Congratulations to all the members involved. 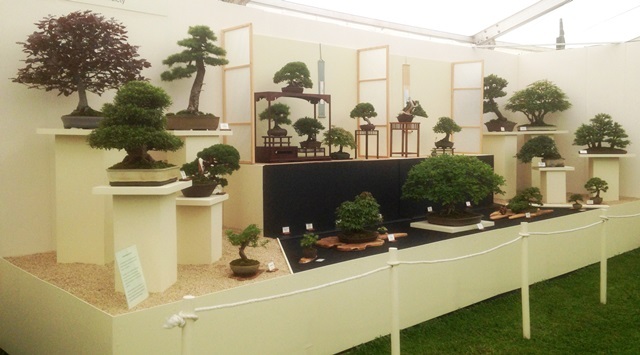 In addition to the Cheshire Society, there were other impressive bonsai displays by professionals and non-FoBBS member societies.